I am quoted inside Dove Chocolate’s candy wrapper. I think I found the submission invitation just scrolling through on Instagram one day. I smiled and thought, “hey that looks fun, and that would be really cool!” not realistically thinking they would ever actually choose mine. I honestly forgot all about it until I came home to a mysterious package one night and opened it up to find three bags of Dove Chocolates and a little framed/plaque of a wrapper with my quote and name on it. I was in awe and truly touched. I never would have had that moment of joy (and the countless times the joy returns every time I glance over at the pristinely preserved silver piece of aluminum foil with my name on it) had I not taken the couple of minutes to submit a quote. This is just one example of my “Wy Not” mantra, put into action in my life. At a work party one year ago, they were giving out raffle tickets to be filled out with a name and employee ID, with a variety of different prizes up for grabs. I was kind of shocked to see how many people just left their raffles on a table, or even handed them over to me simply because they were too lazy to write those two things down (albeit, my hand did hurt for a long time after scribbling down the same things hundreds of times). I ended up filling out probably over 200 raffle tickets with my information and stuffed them all into a box marked “Las Vegas Trip”. 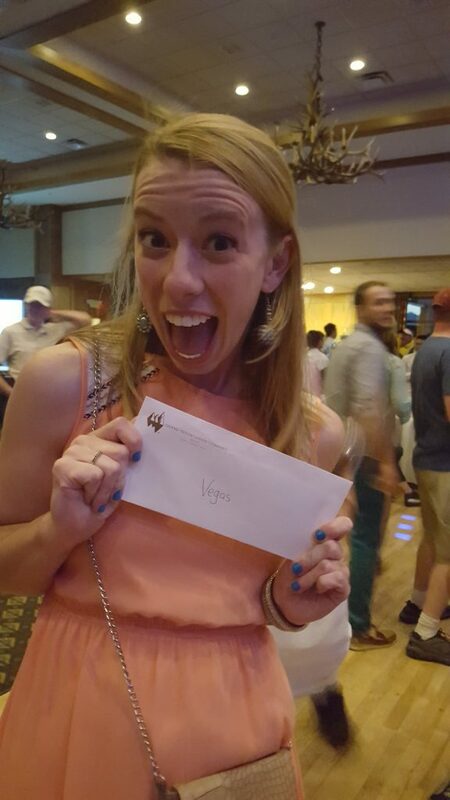 My eyes tripled in size as my name was called out as the winner of the 3-day trip. Realistically, I never thought I had a chance. Another opportunity presented itself on Instagram a few weeks ago, when one of my favorite authors announced she wanted to create a launch team for her upcoming book. A quick questionnaire was all it took and a little while later I got an email congratulating me on being chosen as part of the launch team. This is the kind of stuff maybe I never dreamed of, or ever planned on doing, but I have a passion for it, so it gives me a great creative outlet and is just so much fun to be involved in. You never know who, what or where it could lead to! All of this to say, you just never know what could happen. It could feel like a waste, or you could just be choosing to be lazy, but you never know what you could be missing out on. I say take the few minutes, type or write out more than feels necessary. I promise you: you won’t regret it. It’s like that quote, “You only regret the chances you didn’t take”. So take a risk. Apply for that job across the country or that you’re way under qualified for. Ask out –or at least flirt with- the person you believe to be out of your league due to their movie-star good looks (another risk I’ve taken and it ended up being a wonderful relationship, and now a great friendship!) Just rethink the fact that something is a waste of time, and realize it could be an investment in your future.